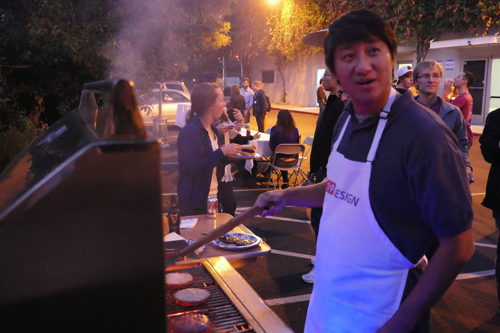 9th Annual ME218 Alumni BBQ Was a Success! 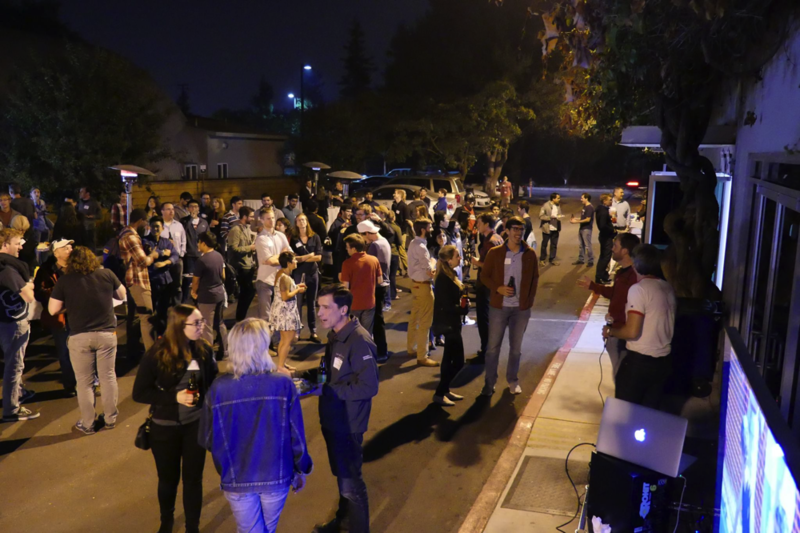 We recently hosted the 9th Annual ME218 Alumni BBQ and it was a huge success and the biggest one yet! We had a great turnout this year with about 150 people. 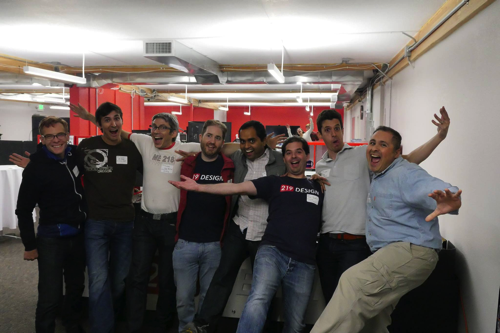 For me, the most exciting part was the open mic, where a dozen different alumni announced job openings. I can’t think of a more clear example of the impact that ME218ers make in pushing technology forward than hearing alumni talk about how they are growing the teams that are developing cutting edge surgical robotics, self driving cars, AI, drones, and more. Truly an amazing group of people, connected by their shared roots back in ME218. 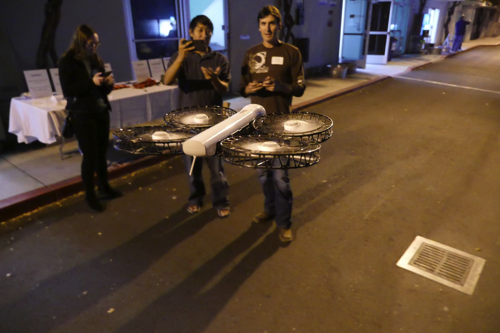 There was plenty of food and drinks to go around, and even some outdoor games before it got too dark. It was a great night with both old friends and new ones. Building on some stuff we tried last year, we had 2 Virtual Reality stations going with the HTC Vive, which turned out to be a big hit! Virtual and augmented reality is a big area of interest for 219 Design these days. I think a few people may have bumped into some walls (oops), so we’ll work on some improvements for next year. For me, it’s been over 15 years (yikes!) since I stepped into ME218A and I can honestly say that it’s had a huge impact on where my career has gone. It’s really amazing to see all the interesting things that 218ers go on to do, and always inspiring to see the current and recent students just embarking on their own journeys. I even got to meet a current student who actually read my doctoral thesis from my days in graduate school! Holding the barbecue on Friday the 13th gave us the opportunity to have some extra fun this year. I hope everyone who came enjoyed the JSON beer koozies! We had a lot of fun designing them. We’re really looking forward to next year. 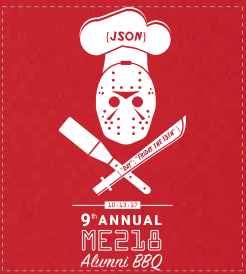 It’s going to be the 10th ME218 Alumni BBQ, so we’re hoping to make it a big one! Thanks to everyone who came this year, including Ed himself. Without all of you, it wouldn’t be nearly as fun!